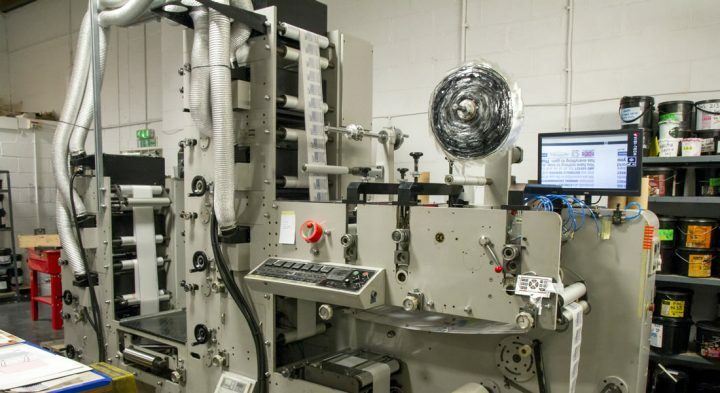 As part of our commitment to customers print requirements we also offer self adhesive label printing on two reel-fed U/V flexographic machines. These can offer up to seven colours with varnish plus over laminating and reverse printing/adhesive deadening. As with our wet glue labels we provide many of the top retailers and producers with self adhesive labels on either paper or plastics including clear. We match our finished print to our FOGRA 39 certified proofs so that the labels we produce comply to strict colour management. Both flexo presses can cut to any size on press and can be re-reeled at any quantity onto any core size for our customers production lines.